Superstition in Italy is as common as walking into the local bar for a coffee. Whether it’s the red cornicello (red horn) hanging off a car’s rear-view mirror to ward off evil, or trying to pretend you didn’t just see that black cat because yikes, it means bad luck. Many Italians have one thing in common: they are strongly superstitious. Italian sportsmen are no exception. We take a look at five superstitious behaviours from Italians in sport. 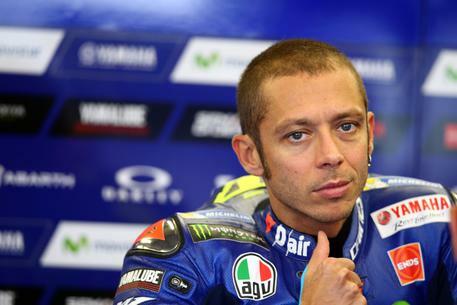 MotoGP nine-time world champion Valentino Rossi is one of the most renowned athletes for his pre-race ritual. From placing his own stickers on his bike, to his walk-out routine – it’s all part of the ritual. Every single race starts the same for Rossi. He approaches his motorbike, stopping shortly before it, to take a bow before reaching for his boots. He then proceeds to his bike where he crouches on its right side, never the left, resembling a child caressing their favourite toy. Hidden behind his helmet, it’s hard to tell if Rossi speaks to his bike or not. But his most famed move is when he exits the pit lane. In standing position on his bike, Rossi will tug at his leathers, just like Rafael Nadal, to pick a wedgie. While some riders have made fun of him in the past, others don’t laugh about it. Former coach of the Italian national team (2002 World Cup) Giovanni Trapattoni sprinkled Holy Water on each of his players prior to any match during his career. Italy did not make it beyond the Round of 16 for the World Cup which he coached. Nonetheless, Trapattoni is considered to be the most successful club coach in Serie A. If you’re wondering where he was able to get all that Holy Water from - his sister was a nun. The retired footballer and current coach of AC Milan had a specific ritual during the 2006 World Cup which obviously served him well; Italy took the Cup home that year. He wore the same sweatshirt continuously since the very first day of competition. He has mentioned that he profusely sweated in it and was often in a bad mood because he could not bear to part with it. There’s certainly an interesting psychological side to superstitious obsessions. Many athletes are known to have a ‘“item”, such as Serena Williams who is famous for her dirty socks, or Michael Jordan who could not part with his lucky, and eventually tattered, college shorts. Unlike most athletes who cannot part with an old item, the 2014 Tour de France winner Vincenzo Nibali is quite the opposite. Three weeks before any big stage race, Nibali purchases a new pair of Sidi cycling shoes, puts on the new clips and prepares for the tournament ahead. “It almost became a good luck ritual,” he has said. “It means a lot to me to line up at the start of each new major event with my shoes in perfect shape, neat, clean and in order. Pierluigi Collina is widely considered to be one of the greatest referees in football of all time. He has been named FIFA’s Best Referee of the Year six consecutive times. But just because the Italian isn’t playing the game himself doesn’t mean he isnt superstitious in his career. The odd thing is he won’t tell anyone what they are! In the 2009 documentary, The Referees, Collina said: “Normally, the superstitions are superstitions because they are not told to anybody. He has been asked in multiple interviews about these superstitions but always gives the same answer - it’s a secret. We’ll keep our heads scratching until we find out!